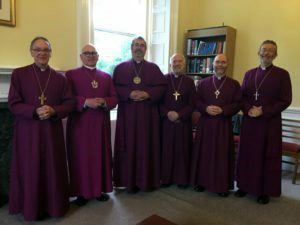 Today the Episcopal Synod of the Scottish Episcopal Church elected a new Primus – The Most Rev Mark Strange, Bishop of Moray, Ross and Caithness. You can read about the Episcopal Synod’s election and watch a short video from Bishop Mark. We also explain the role of Primus, and say farewell to two members of the College of Bishops as they now retire.